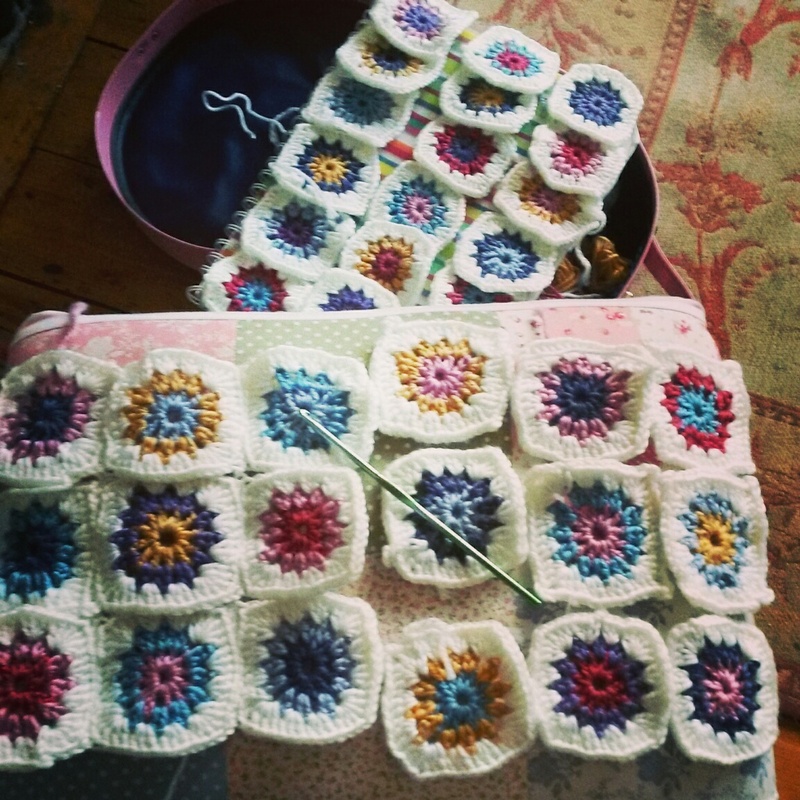 Crochet is such a cosy winter craft, warm and woolly, colouful and cheery. I have been making these starburst grannies ready for covering a lampshade, an idea I've had in my head for ages. I imagine them lit up like glowing boiled sweets! Just right for cheering up a blustery January and beating the blahs. What is your favourite winter craft?